Adelaide Hills - Easter at Melba's! Melba's Chocolates Easter Weekend. Open ALL Easter long weekend, inc. Good Friday, 9am to 4.30pm. Join the Melba's team as they celebrate all things delicious over the Easter long weekend. Bring the kids for a weekend of festivities. 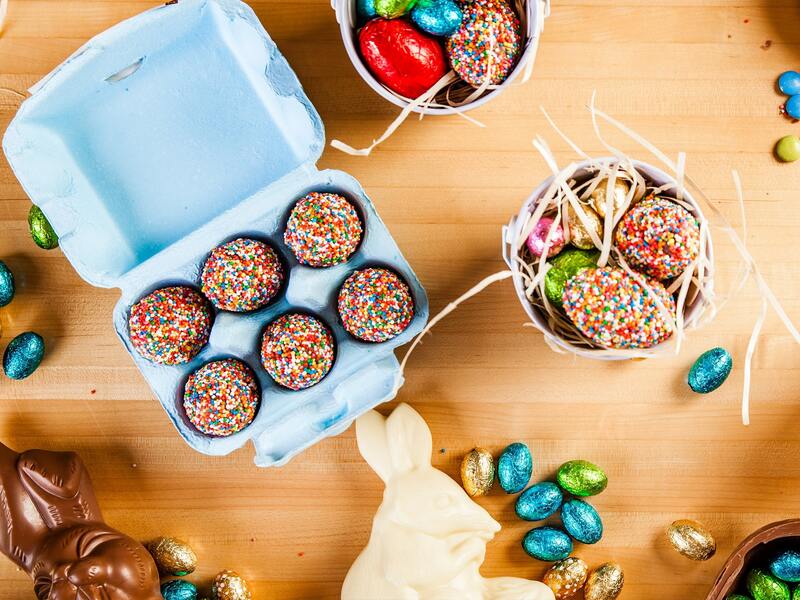 Stock up on your Melba's Easter favourites and discover our factory and all its happenings. There's free entry and fun for the whole family, with activities including... - Free face painting & balloon creations, 12pm to 4.30pm; - Colouring-in competition; - Silvio Apponyi's LIVE Giant carving display (Good Friday only, 10am to 4.30pm); - Product demonstrations by the Melba's Team, and; - Maxine's Baked Potatoes, with vegetarian options available. Silvio Apponyi, award winning Adelaide Hills sculptor will be back at Melba's this Good Friday, from 10am to 4.30pm. Visit us and watch as he creates an array of Easter characters using a chainsaw and axe. For more information visit the Melba's Chocolates Facebook page, or website.